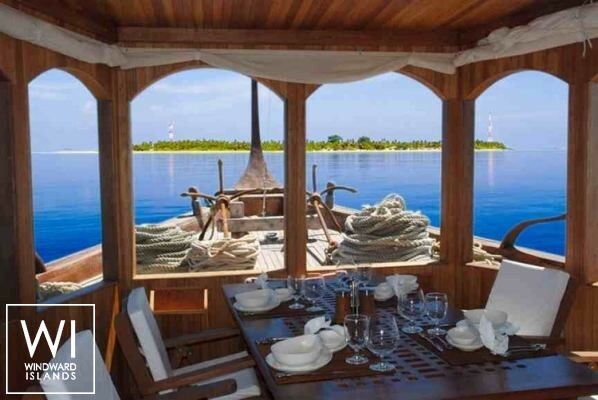 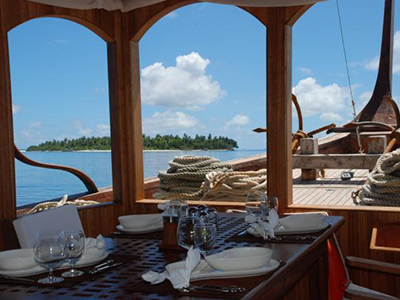 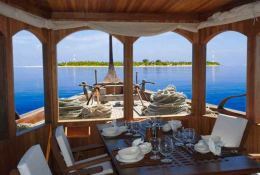 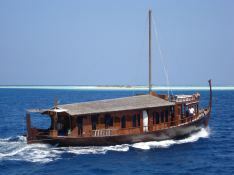 This Dhoni is a new traditional luxury yacht for your private charter in the Maldives islands. 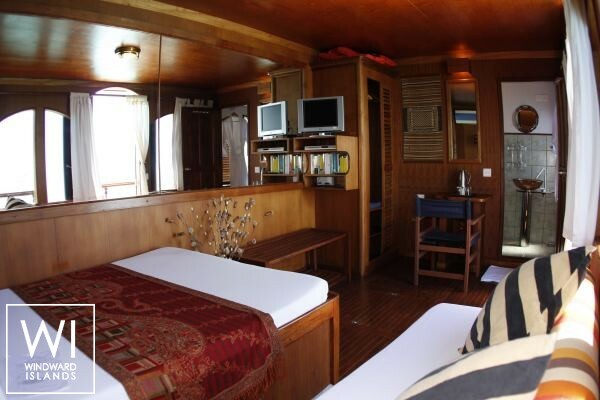 On board there are two large cabin suites, both located on the main deck, with air conditioned and private toilet. This sailing yacht is the ideal option for two couples, two families or for a small group of scuba divers: the yacht has two double bed cabins + one single bed and with also an extra bed if needed in each cabin so she accommodate up to 6 persons.This motoryacht is available for yacht charter with a base price of 5 880 $ (approximatly 5 214 €).